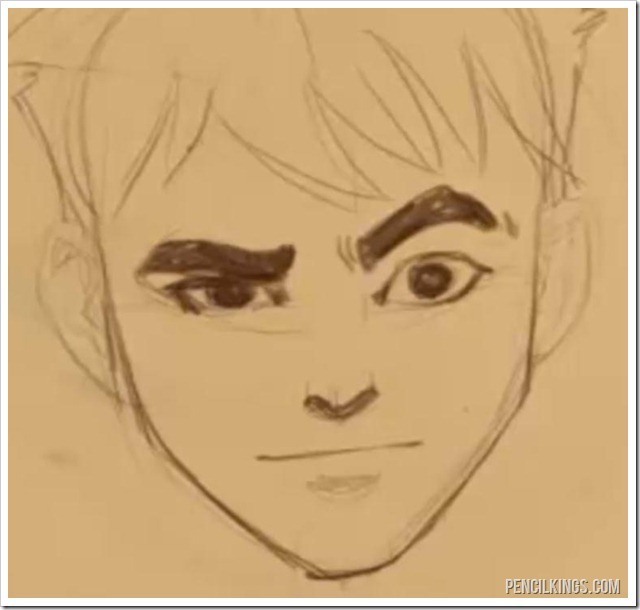 To get started with learning about drawing a confused face, first drop the eyebrow over the right eye a little bit. You’re going to give the eyes an asymmetrical look to heighten the expression. Open the other eye up slightly and raise the eyebrow. 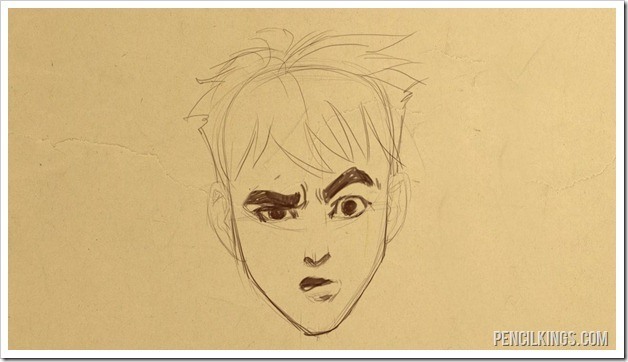 You can draw in a few creases where they would naturally form with this facial expression around the eyebrow. There’s not much to drawing this mouth and there is no need to adjust the position of the jaw from the drawing of the neutral expression. Start by drawing the lower lip angling downward and then looping around to create the upper lip. It’s pretty easy to see how this is done in our video for drawing a confused face. There’s not going to be any of the upper teeth showing here, but you should leave a little lightness to indicate the bottom row of teeth. Shade in the rest of the mouth. The last thing to do here is to add a little bit of shading below the lower lip and that’s about all there is to it for drawing a shocked expression. We hope you enjoyed this article on drawing a confused face. 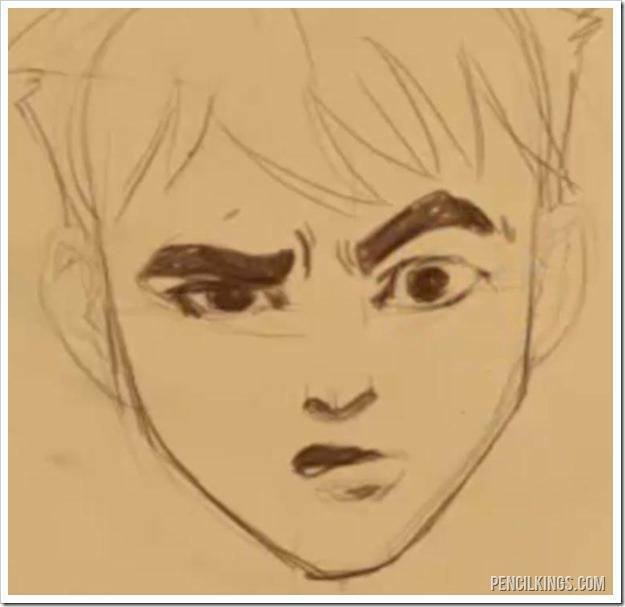 In the next how to draw expressions video you will be taking everything that you’ve learned in the previous eight lessons and begin to combine different eyes and mouths to create a really wide variety of expressions.